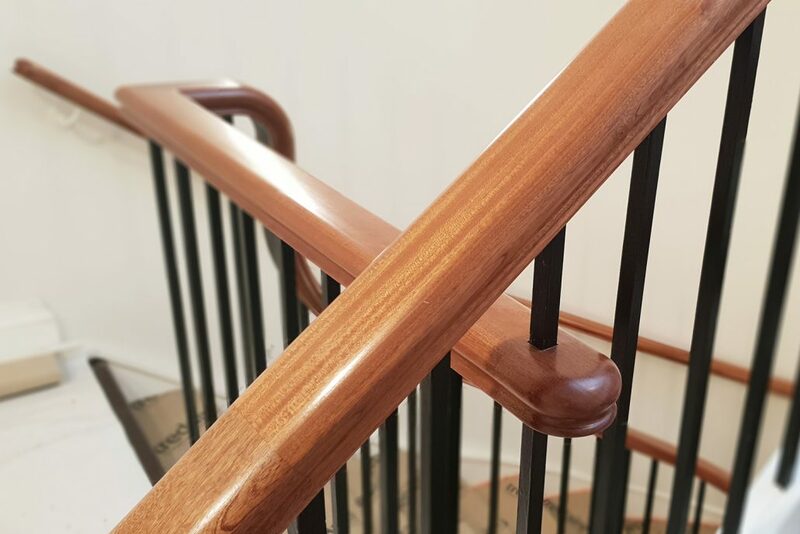 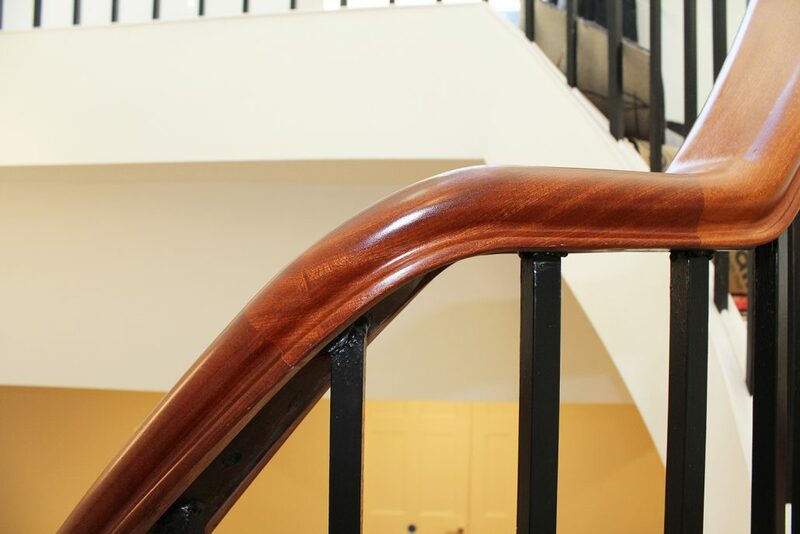 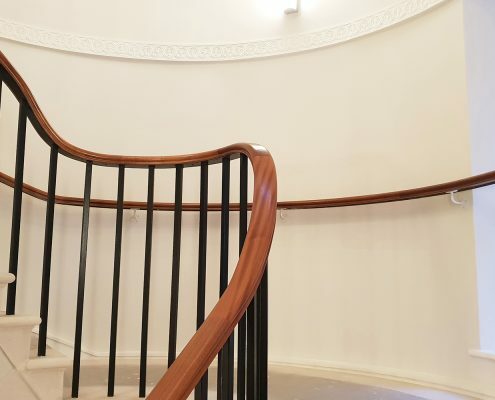 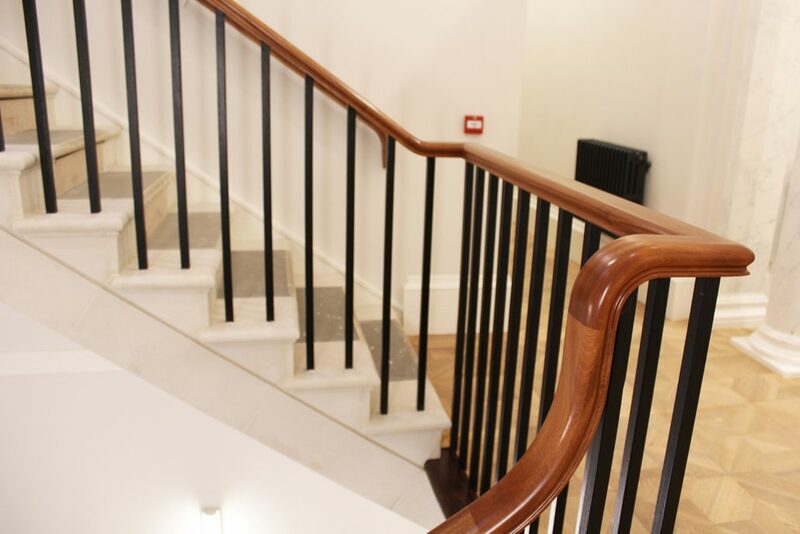 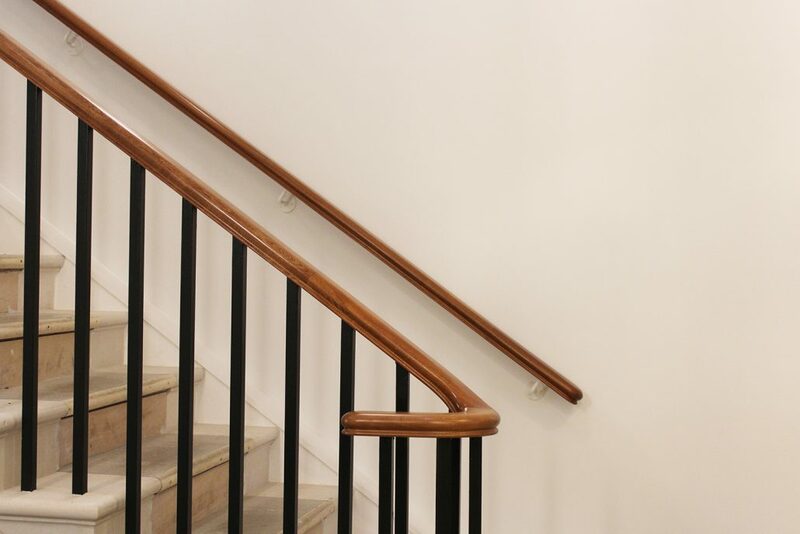 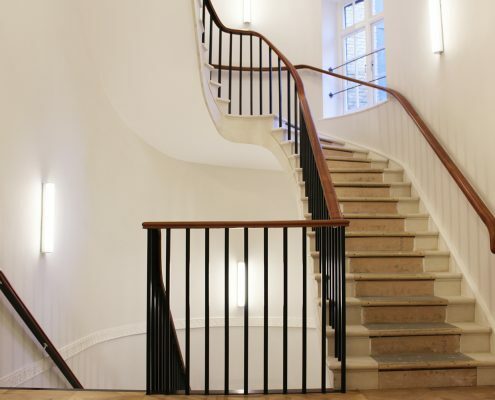 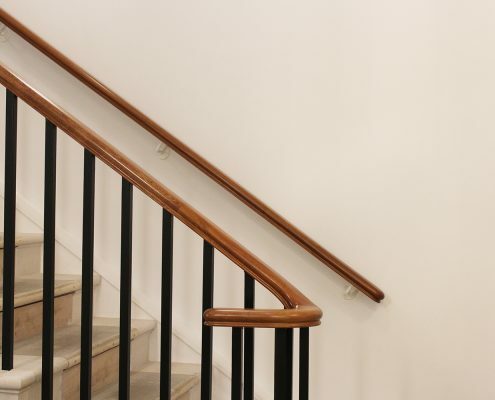 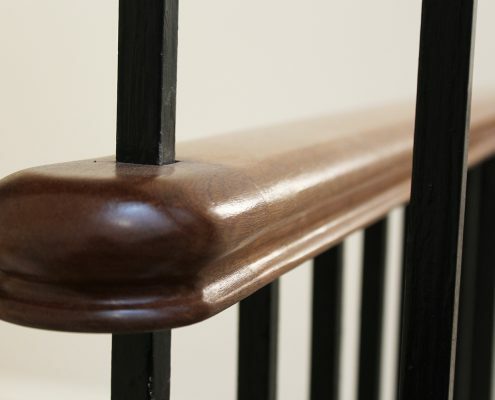 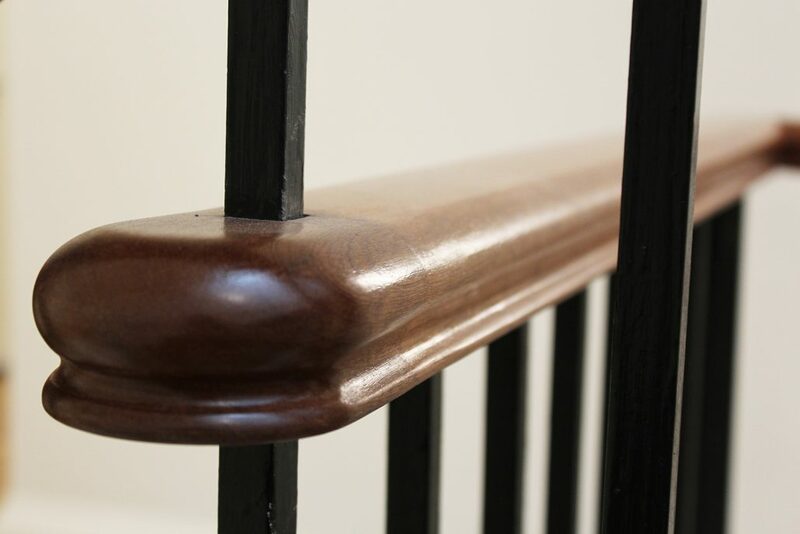 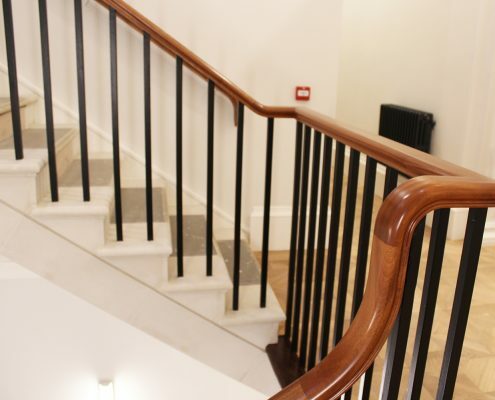 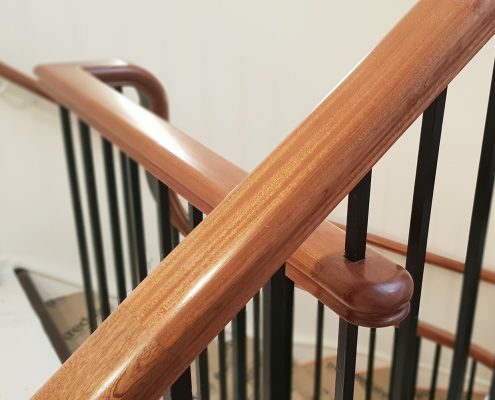 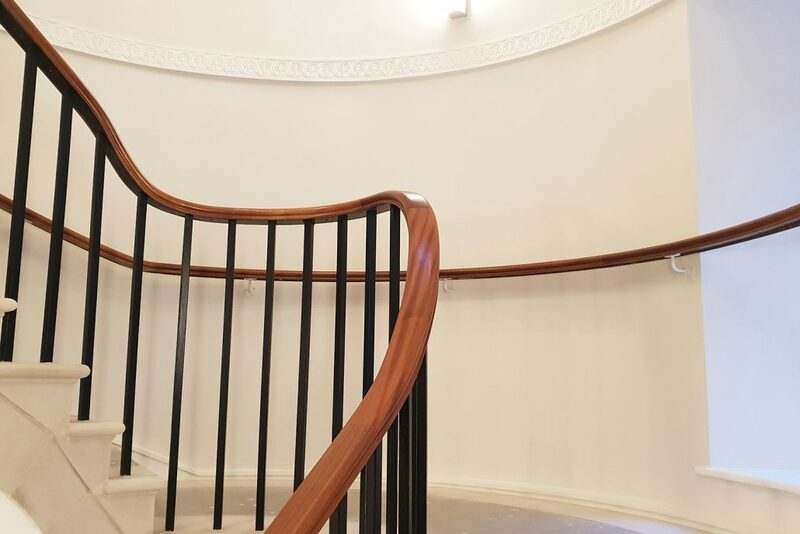 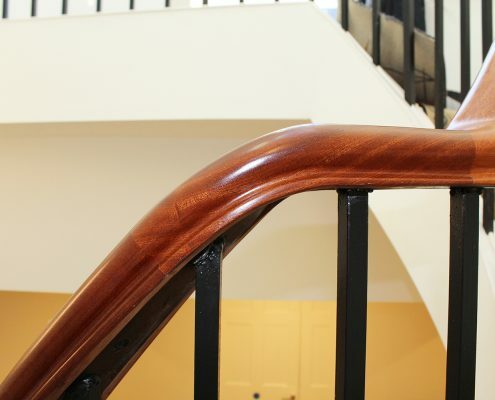 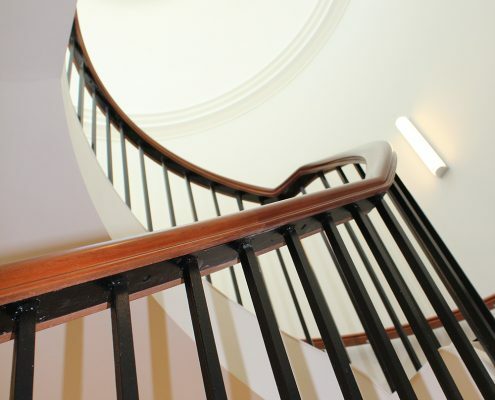 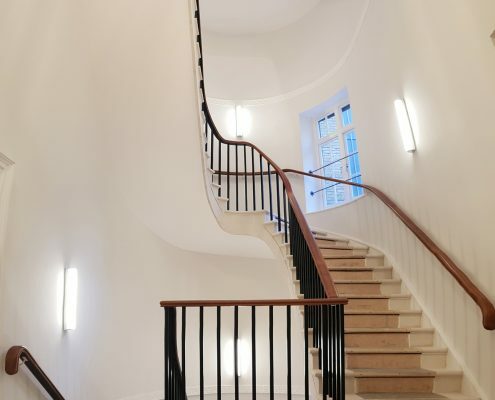 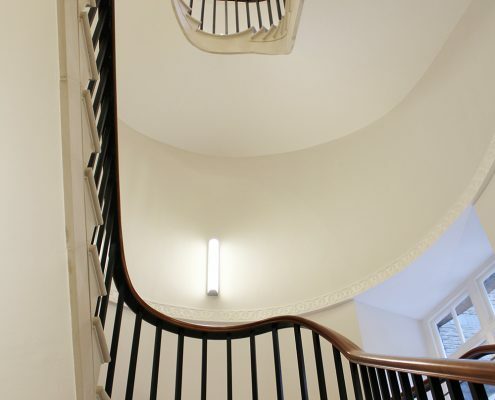 We were chosen to manufacture, install and French polish over 150 unique sapele handrail components for this feature staircase in central London. 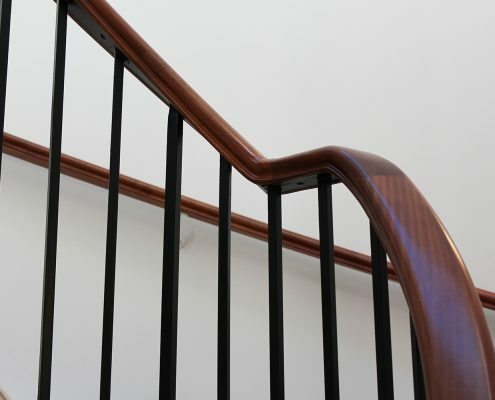 Running over seven floors, the bespoke rail was fitted to an existing steel core rail which was twisted and bumpy. 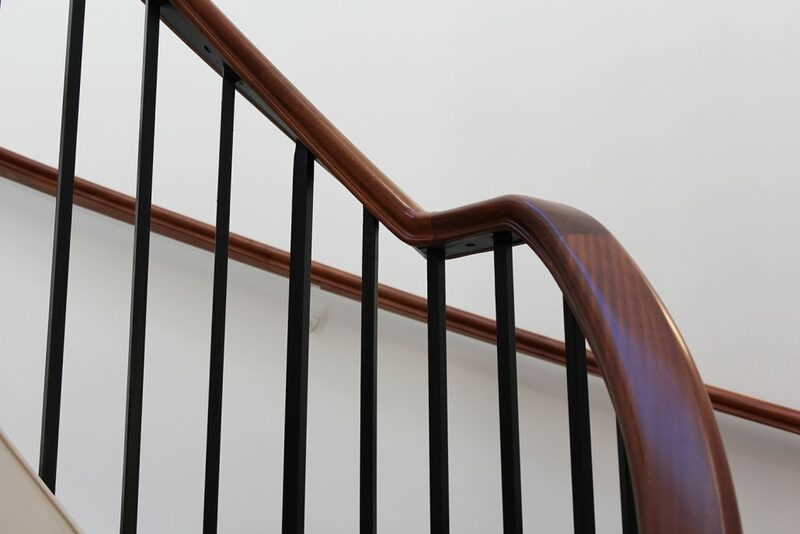 Our design team used methods developed in-house to compensate for the metalwork, and our handrail was installed with near perfect geometry. 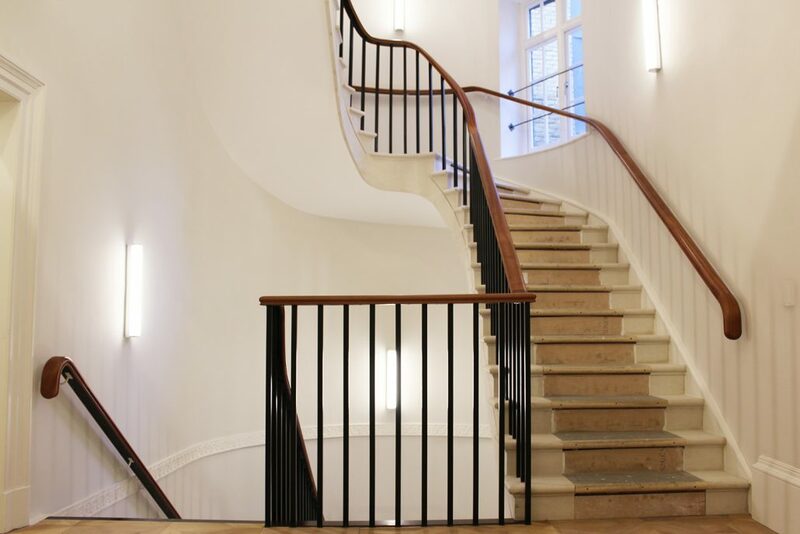 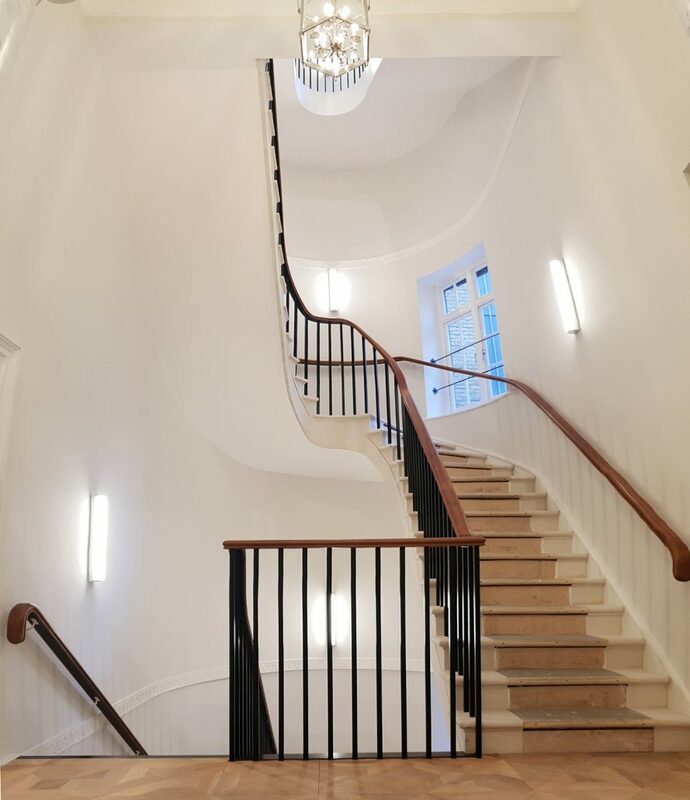 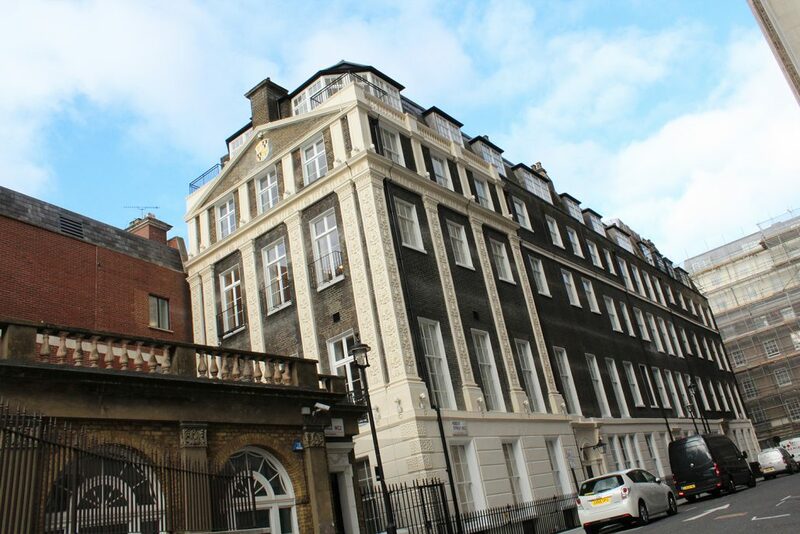 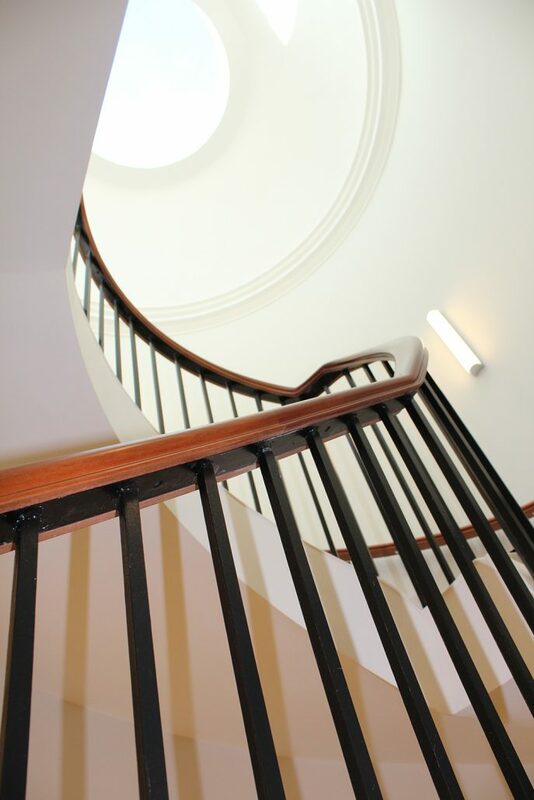 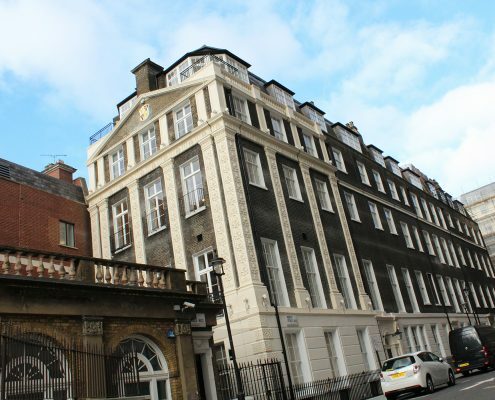 The grade II listed building from 1768 has been refurbished in full by OMC Investments for residential use. 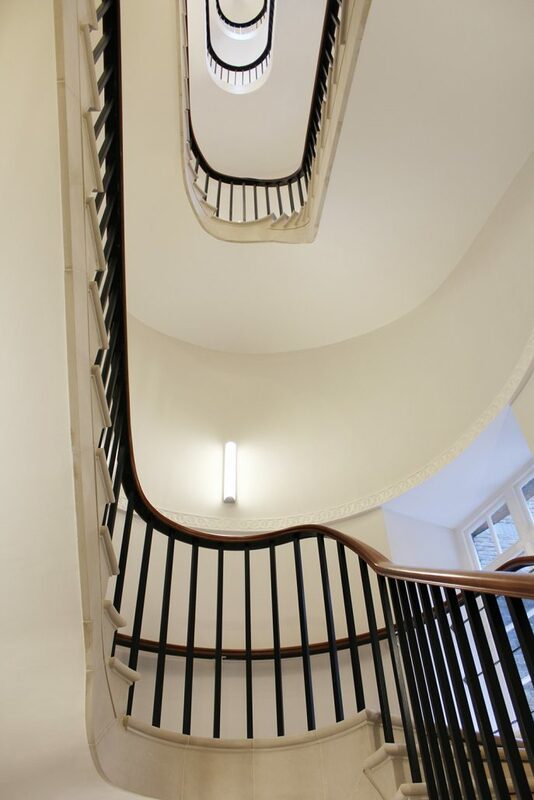 Once the home to JM Barrie whilst he wrote Peter Pan, number 3 Robert Street is steeped in history and grandeur.